California is the most populous state in the USA and the third largest by size. as well as the highest and lowest points in the continental USA (excluding Alaska). After the discovery of gold in 1849, the population grew rapidly and California became the 31st state in 1850. 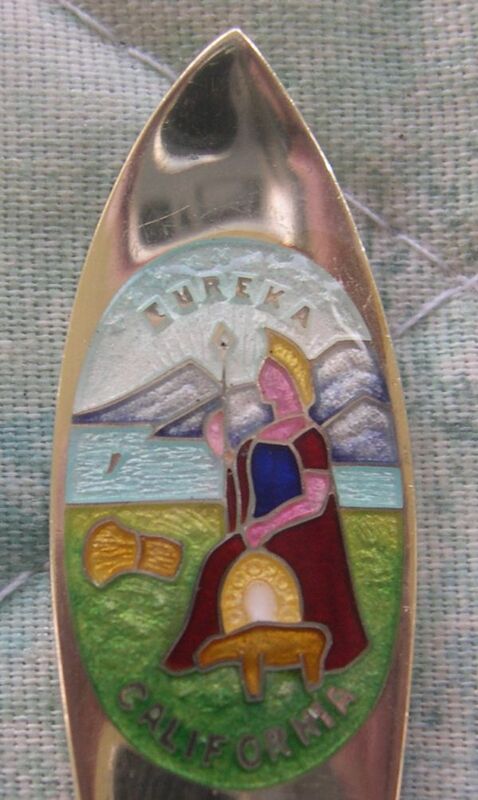 The great seal of the State of California depicts the Roman goddess of wisdom, Minerva, overlooking commerce, mining, and agricultural products. 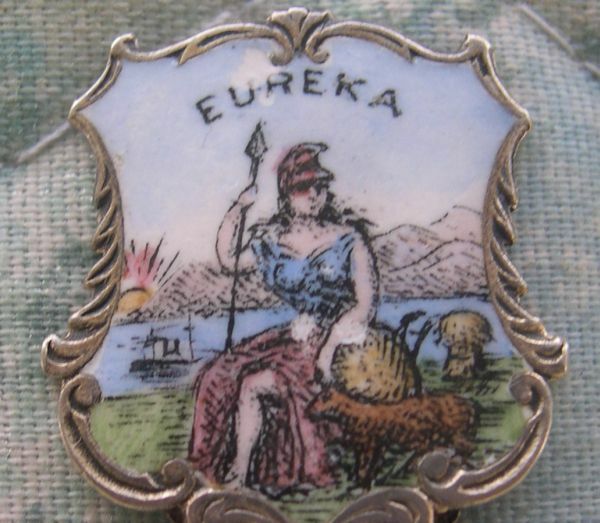 Eureka is a Greek word meaning "I have found it" and refers to the discovery of gold.